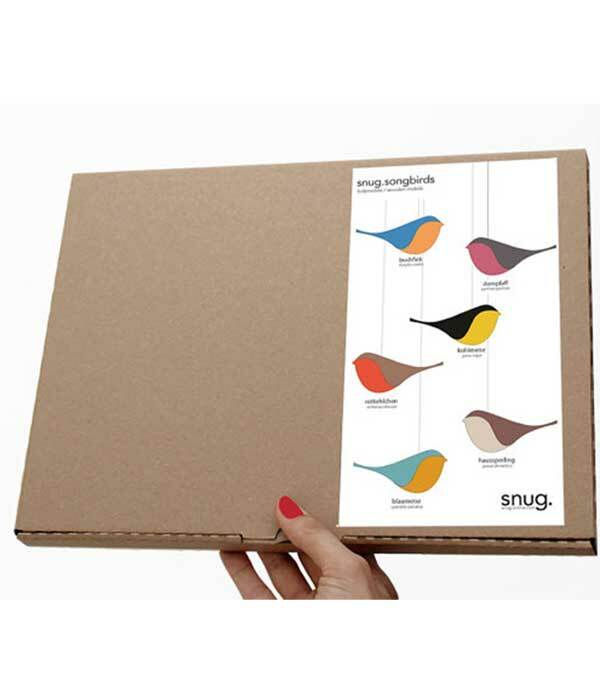 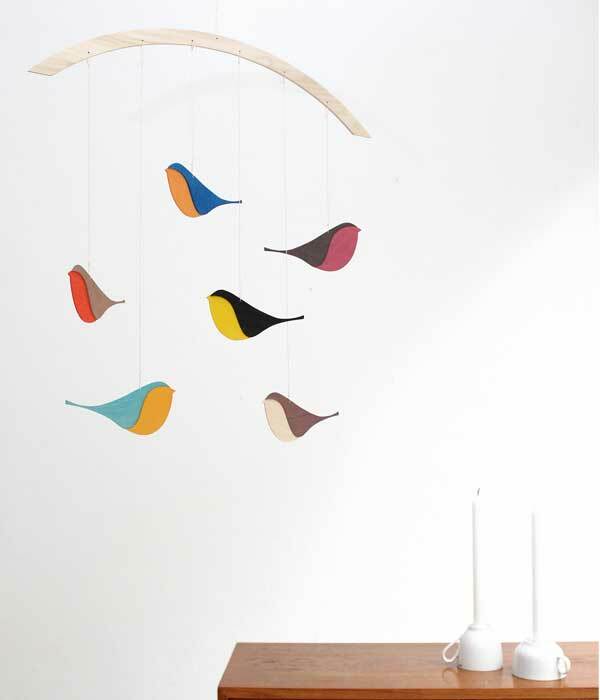 These colorful birds will make any room more cheerful! 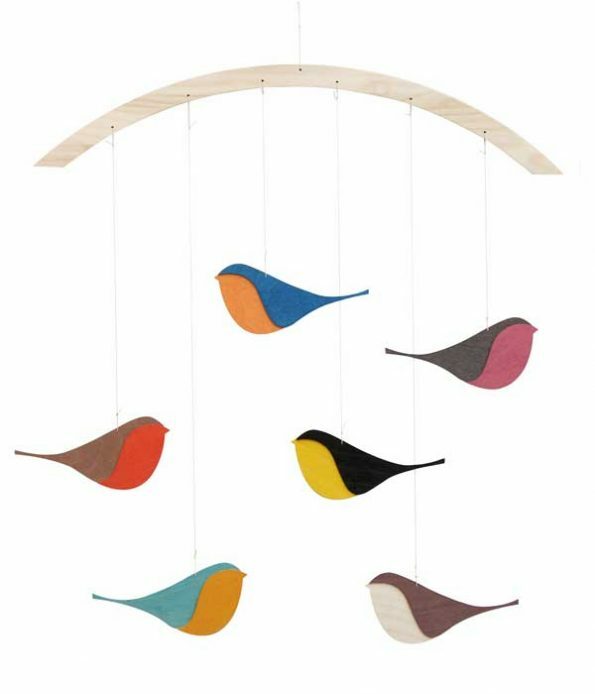 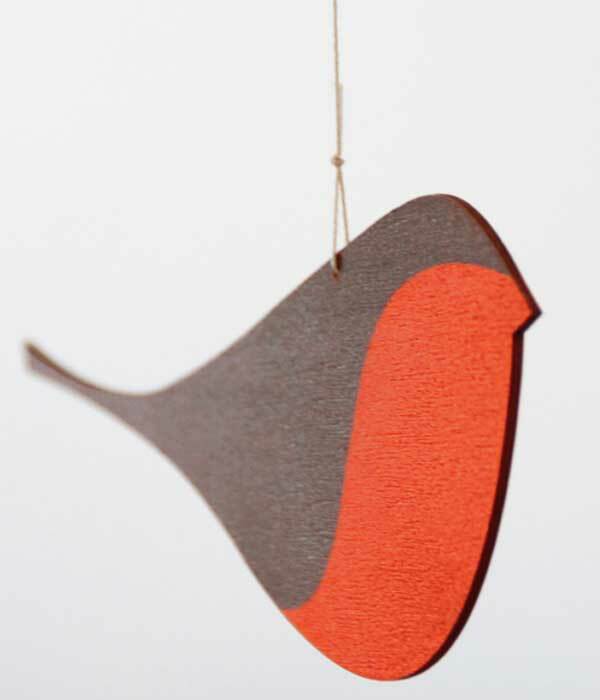 This wooden mobile will bring a splash of color to your life! Each bird is 13 cm wide, the arc is 42 cm wide. 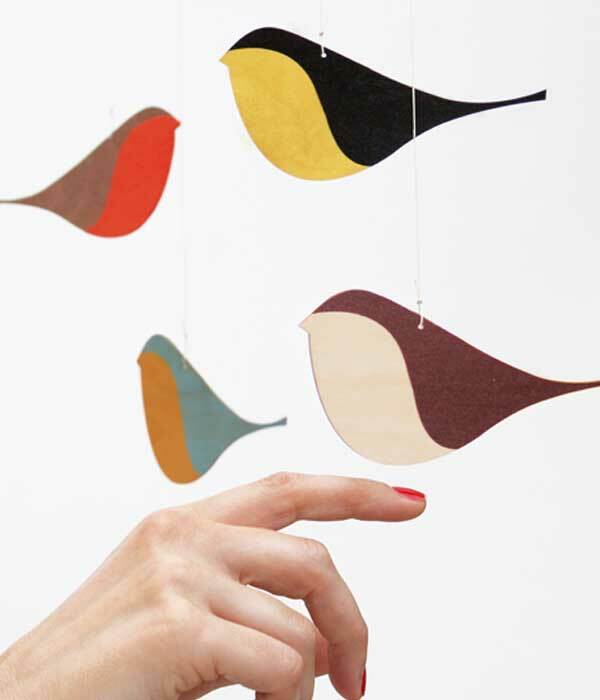 They come flat packed, with simple assembly and all strings supplied. SAFETY NOTE: Mobiles are not toys and should be used for decoration only. Choose the location carefully, mobiles should not be installed within reach of children.